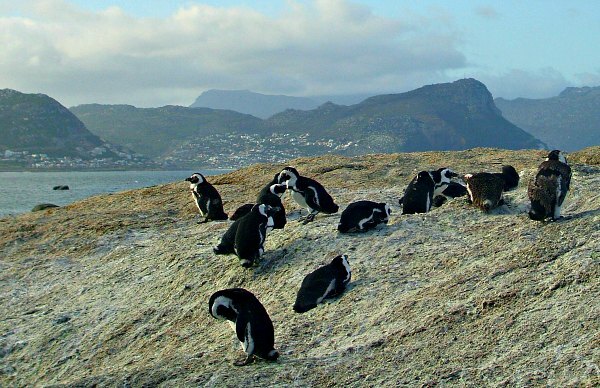 Boulder’s Beach, around an hour’s drive from Cape Town, is best known for its colony of African penguins. They made the beach here their home back in the 1980s and now tourists come from far and wide to see them. There are some specially constructed walk boards that you have to stick to, but you really do feel that you’re walking amongst them. 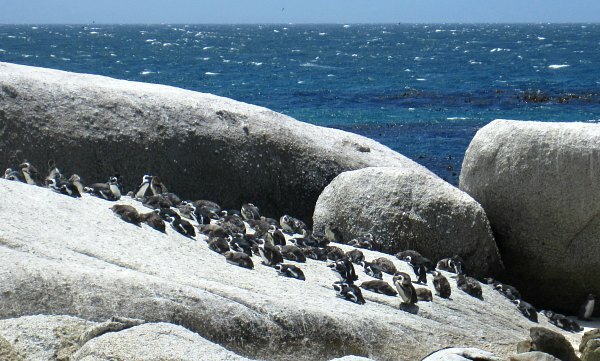 Boulders Beach is located near Simon’s Town and there are two main route options from Cape Town. The simplest is the M5 then the M4 which is eventually a winding coastal road to Simons Town. Alternatively, take Rhodes Drive, then Union Ave, Edinburgh Drive, the M3, M64, M6 and M4. 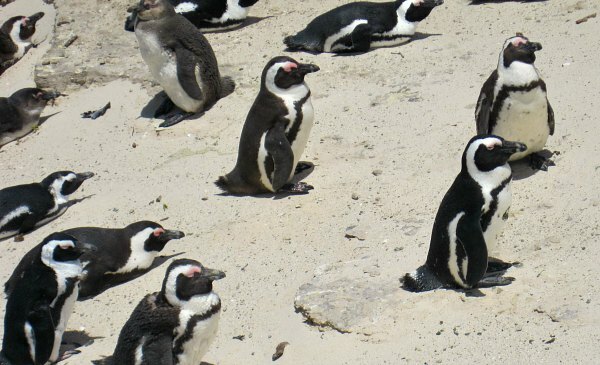 If you don’t have a car, there are a number of organised tours you can take from Cape Town which will call in at the penguin Colony. The Cape Point Sightseeing Tour for instance consistently gets great reviews from people who’ve been on it. Boulders Beach is now geared up for the many tourists who come here. The wooden boardwalk is accessed via the information centre on Kleintuin Road with an adult admission charge of 40 Rand (2014 prices). Opening hours apply too – you can see the times here: South Africa National Parks. This map shows the location of Boulders Beach but you can move it around to see the main route from Cape Town.